Many Lions Clubs are great supporters of Black Dog Ride; the brainchild of motorcyclist, and West Australian Lion; Steve Andrews. Black Dog Rides raise awareness and community discussion of depression, so popularised by Sir Winston Churchill as his “Black Dog”. 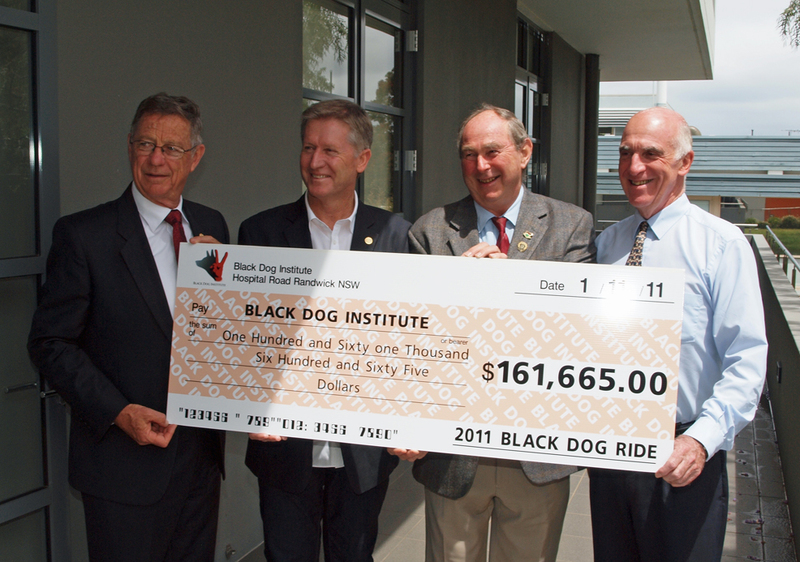 On Thursday 3 November 2011, Council Chairperson Peter attended the cheque presentation of the proceeds from the most recent Black Dog Ride, to the Black Dog Institute at the University of NSW that leads research and therapy into the depression and related illnesses. A whopping cheque for $161,000 was presented to the Institute, the proceeds of the last Black Dog ride that saw 300 riders journey from the Sydney and Perth to rendezvous in South Australia, before heading to Alice Springs. This extraordinary effort from Steve and his team was supported by around 40 Lions Clubs who provided hospitality and fundraising support in the towns along the way. 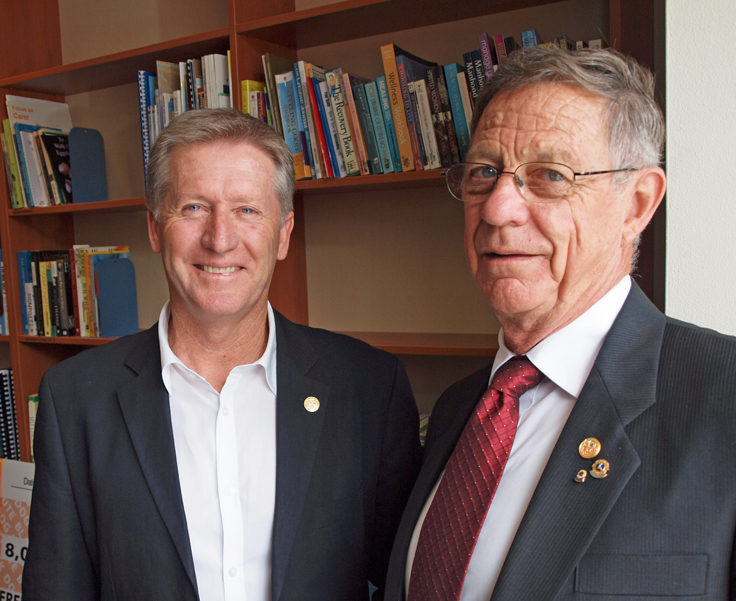 Lions National Chairperson Peter Clarke, Lion Steve Andrews – Founder Black Dog Ride, Bob Haywood President – WA Herefords and Professor Gordon Parker – Executive Director of the Black Dog Institute. When those sorts of numbers are involved, it means that there will be few Australian families that won’t be touched by this devastating illness. Australian Lions have an impressive record in the community health space, with leading strategies in drug and alcohol awareness by our Australian Lions Drug Awareness Foundation, support of research into eye health by the Lions Save Sight Foundation and our new Prostate Cancer Research and Therapy Program, to name only a few. Many of our 19 Lions Districts have contributed to health research in their respective stats for decades. I have no doubt that Lions Clubs will continue to support Steve in future rides to build awareness and fund research into this illness. Congratulations to Lion Steve and his team. Next ›Thinking about joining Lions? Well done Steve and your crews, and well done to the many Lions Clubs who supported She Black dog Ride. Keep up the great work.